Prior to joining Fure Financial Corporation, Dale was a Financial Associate with Thrivent Financial for Lutherans. He has also held marketing and management positions with several large insurance companies. 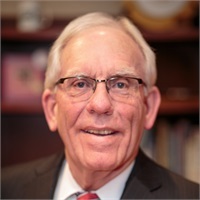 Dale grew up in southern Minnesota and graduated from Gustavus Adolphus College, where he earned a Bachelor's Degree in Business Administration. Dale and his wife, Doris, are the proud parents of two daughters, Kirsten and Alison. Dale enjoys spending time with his five grandsons, entertaining Ryder, his rescue dog, reading, woodworking, and being outdoors.